January 2006, Eric Twelker. I opted for the cheaper and readily available stones to start with, in the hope of diversifying more quickly, not to mention that I started my "stone" collection with a Martian piece. 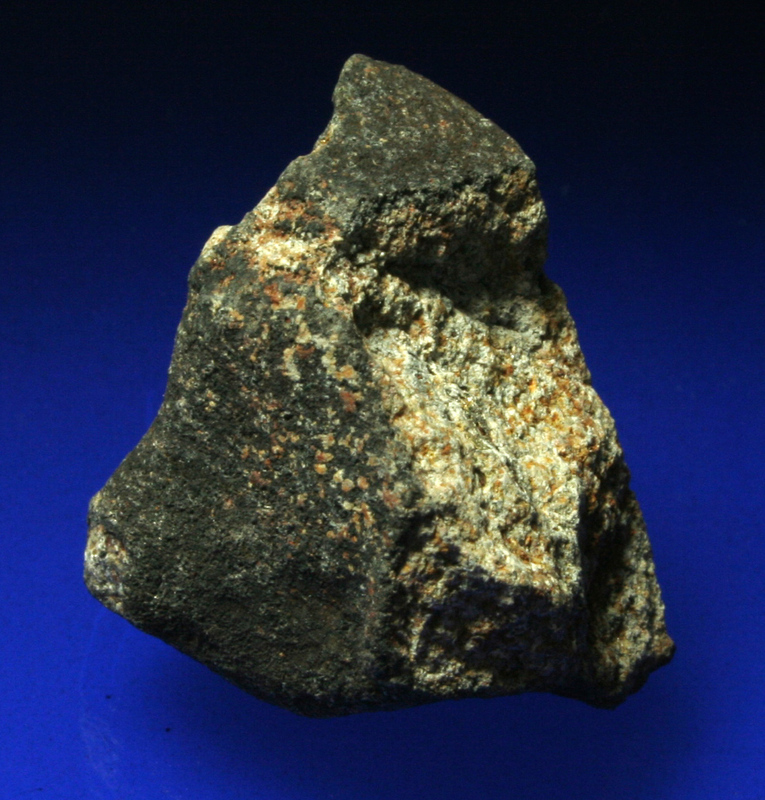 Interest in meteorites is like a sinusoidal wave, sometimes I want the big and costly ones, then later my excitement wanes to cheap ones. Good specimen with fusion crust and chondrules in its raw and unpolished form.